The Book of Secrets is a masterpiece………one of the most satisfying reading experiences I have had in a very long time. This is a must-have, must-read, must re-read, top-of-the-pile, words-to-live-by, masterwork. This is one of the most inspirational books of magic I have ever read, and as serious as is its intent, it is also inescapably joyous, thanks to the author’s unadulterated, unbridled, unapologetic love for his subject. The Book of Secrets is a blueprint for rich, multifaceted, sophisticated magic that will be duplicated by few, but is accompanied by a manifesto of sorts that will doubtless inspire many. Truly, this is a generous book–a work by which the author gives back a bounty to the art that has given him so much. Be thrilled and inspired by this book, and may it help you take our art to another, better place. It is a book that reveals, challenges, provokes, encourages, and teases. Its one of the best magic books I’ve ever read, and my guess is that 26 years from now it will be referred to as one of the classics. The Book of Secrets is written from the heart. A careful study may well change your magical life. ……in the past few years I have drifted away from being a true student of magic. John Carney has rekindled that flame. To have regained this feeling is a gift. And that’s what The Book of Secrets is, it’s a gift to magic and magicians. It has my highest recommendation. I had high expectations for this book. But I still wasn’t prepared for such a Magnificent creation, produced with the same care, clever attention to detail, and good humor that characterize his magic. It manages to be easy to use, instructive, entertaining, and scholarly all at once. It’s one of those books that make you feel lucky to be able to appreciate how good it is. “The Book of Secrets” is absolutely wonderful, both in quality and content. It is destined to become one the classic textbooks of magic. It is elegant and and inspiration, and should be to everyone who reads and studies it. Your love and respect for Magic is evident in virtually every sentence and illustration. There is so much of general value beyond the specifics being described. Thanks so much for writing it. I am convinced it will be an important reference 100 years from now. This book is from the heart. It will change the way you look at your magic. All magic books should be written this way. You’re book is not only a treatise on magic but life itself. …….. This is the kind of guidance I’ve been looking for! Thanks a lot for clearing the pathway for me in my long journey through magic! You really did a beautiful thing, John…aside from the artistry of the material and thoughtful essays, the book is even a pleasure to hold, and visually striking to the eye…you’ve raised the bar on magic book publishing! 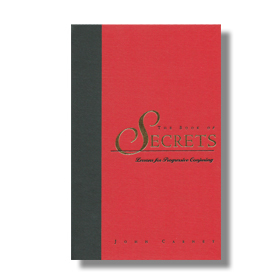 In my opinion, Secrets is the most important book on the examination and refinement of sleight-of-hand magic to be published in the last 25 years. It is thoughtful, well organized, masterfully written, and beautifully produced. Your new book has my highest and most enthusiastic recommendation. Thank you for this work………as wonderful as Carneycopia was, Secrets will be quoted for some generations to come. Your book will be the leader of future in books of magic. …A major leap in magic literature. John subtly, elegantly and very intelligently encourages creativity. And in this process, the reader is no longer the student, who should follow his teacher’s path. He becomes a partner, a co-creator. He doesn’t feel minor or weak compared to the accomplishments of the author, but encouraged and stimulated. He has learned his lesson and is free. 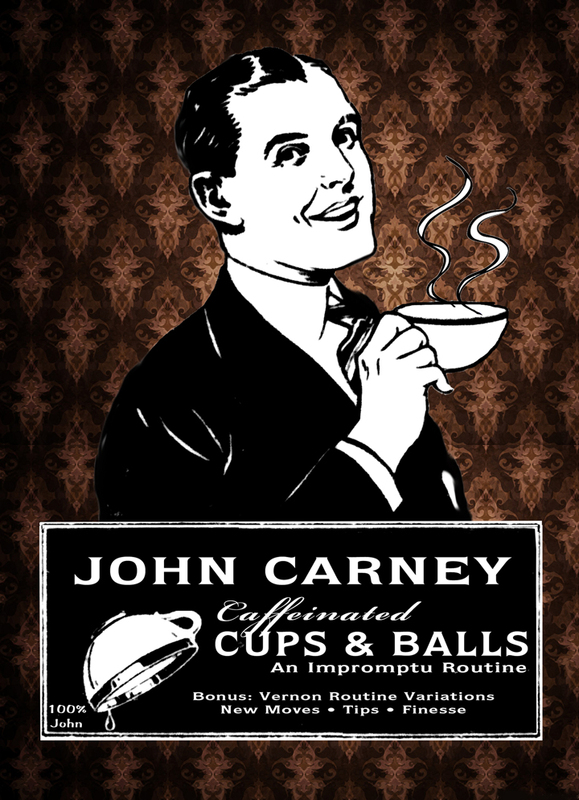 If Mr. Carneys approach becomes standard, I predict magic will develop to new heights. The best feedback I can give you is that I just ordered my second copy of the Book of Secrets. Upon receiving the deluxe edition, I knew within minutes I would need a working copy. I have been collecting classic magic books for thirty years. This one goes on the top shelf. It is comforting to know the ART of magic is alive and well. I wanted to say that I just finished Book of Secrets and I was extremely happy that I made this investment. The material presented here was wonderful and it wasn’t the routines that you included that is making me recommend This book to everyone I can think of, it is the lessons on magic that are the true secret of this book. I also greatly enjoyed your enthusiasm to encourage creative thinking in everyone’s magic. I had been in a bit of a rut but after reading this book my gears went into full force and I have been pouring ideas out into my notebooks yet again. Thank you for that. ………it is not just what John is saying, it is how he is saying it. Through his writing you can honestly feel the love that John has for magic as he speaks not only of effects and techniques, but also of some of the greater names in magic that have come before him. I had heard many advance reviews of John‚s book and all of them raved about it. The book, so far as I can tell, lives up to all of the reviews. There comes a moment when reading a great book when you realize, joyfully, that you will never finish it; that for as long as you live you will always be able to learn more from it. Dai Vernon probably had such a moment with Erdnase, I had such a moment with The Book of Secrets. John’s book was clearly a labor of great love. There is a passion, an urgent and infectious sense that magic should be the object of love and care, that spills out from these pages. I can almost hear John’s voice as he gently — but passionately — encourages us to play, explore, and work; to give our magic something of ourselves. He is never patronizing, he does not deliver sermons, and he is not interested in trying to shame the half-hearted into caring about magic. But to those who love magic, to those who want to continually improve, he has much to offer. Great teachers cannot be learned from passively; for the goal of all genuine education is freedom — the freedom to be able to teach oneself. It is an oft-ignored cliché, but teachers are there to guide the student as he works to become his own teacher. John argues, persuasively, that magical creativity and excellence are not simply divine gifts that some have and some do not. But that they are capacities which all possess and few fully actualize. Thanks for the push John, I needed it. “The Book of Secrets” contains many secrets, and they’re not just in the tricks. Book of the year? Maybe so. In my opinion, Secrets is the most important book on the examination and refinement of sleight-of-hand magic to be published in the last 25 years. It is thoughtful, well organized, masterfully written, and beautifully produced. John Carney’s new book has my highest and most enthusiastic recommendation. This is one of the finest books on magic I have read. Everything about it is first class. The layout, the photos, the concept…everything you would want in a book. The effects are superb, well thought out and well described. The theoretical work was outstanding. Written at a very accessible level. Thank you for providing the magic world with a new “Classic” text. Savvy, thoughtful, and well rounded, it’s the book you wish had been your first or second magic book. Full of advice – philosophical as well as practical — culled from both the author’s experience and from the writings and repertoire of an extensive array of masters (largely past). 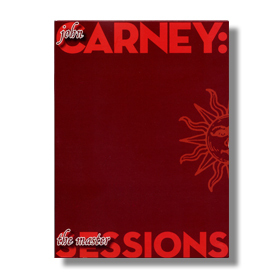 You learn much of Carney’s way of thinking as he conducts a close examination of numerous classic effects and variations, and with an entertaining and affable voice, provides an extensive explanation of the reasoning behind every move (and every move that’s considered and discarded). The chapters, referred to as Lessons, end with calls to action, often a list of questions to think about in relation to either your own effects or the effect just taught, sometimes actual roll-up-the-sleeves assignments. The book’s manufacture, design and illustratations are handsome and stylistically classical about to the point of whimsy. I’m enraptured digging through it. I truly believe that not only is this your best effort to date, this may be the best effort of anyone in the last decade, or more! So much insight on so many things. I think that the most useful concept that I will be able to use to improve my own magic is your discussion and examples on management Thank you for writing this book. It must have taken a long time to put this all together. However, history will reward you for it. A wonderful contribution to our art. 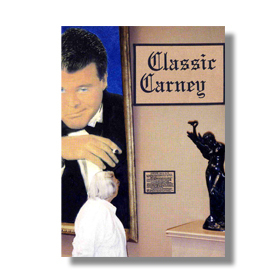 I don’t mean to be trite, but Carney’s new book is a self-help manual for magicians at large. In short, it’s a mentor in a book. It’s easy to lapse into superlatives about this book. It is thoughtfully directed practice and investigation, coupled with a deep appreciation of the past. This is a book for serious students of magic and those who want to become serious students. Like The Books Of Wonder it will, I am certain, become a neo-classic. My first thought, which remains with me after weeks of living with the volume, is that it’s almost as good as having John move in next door. What a grand book it is…it is a philosophy of magic and a philosophy of life! Wow! What a publication! If I had access to this 40 some years ago, I’d be a much more polished magician. Wow! What a gift to the entire magic community! It’s the best magic book out there. It makes the readers THINK. Everyone who is interested in really learning magic and the creative side of the art form needs to read your book. I have read it cover to cover and am working my way through it again studiously. I am enjoying practicing and thinking. It is amazing, fantastic, enlightening, and fun to read. Thank you for sharing it. The book of Secrets will go down in history as one mans quest for restoring the dignity of magic in the 21st century Dedicated students and true lovers of magic will find this a perfect companion on their personal quest for self discovery and artistic fulfilment. You have made an invaluable contribution to the future survival of our art.